Young Women’s Trust has launched an exciting new grants service aimed at giving young women on low incomes the practical support they need to help them find work or take their next step in employment. This might include tools, training, transport or technology. The service has been designed and delivered by young women alongside charity staff. It comes after Young Women’s Trust found that there were no readily available grants services that focus on young women - despite this group facing significant financial barriers to finding work. Who is eligible for a Young Women's Trust grant? The scheme is available to women living in England and Wales, who are claiming work-related state benefits and actively looking for or committed to progressing in work. The charity does not give cash but will buy things on young women’s behalf that they think will help them. Transport costs, and getting to work or interviews. Grants given during the test phase included a camera and place on a photography course, a travel card to get to work and an outfit for a job interview. Young women have also been able to set up and progress their own businesses. An average of £350 is spent on each grant – with a maximum amount of £500. Applications for this round of grant-giving close on Monday 17 July 2017 at 12.00 noon. 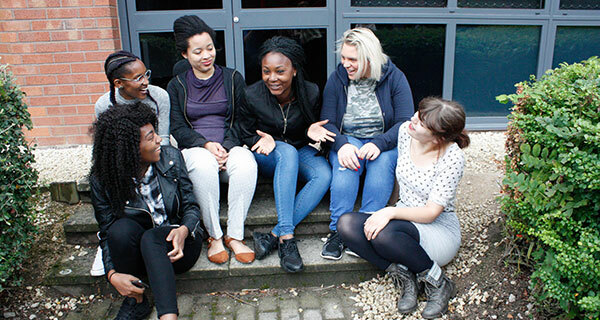 The Trust's staff can support young women with their applications. "It's given me a lot of motivation"
“Young women want to work but they often face huge financial barriers. Childcare and transport costs can be prohibitive and prevent women even going for interviews. Setting up a business or attending a training course can be impossible without substantial savings. Sometimes young women don’t have a computer to apply for a job or an outfit for a job interview. “Young Women’s Trust’s new grants service will help young women to overcome those barriers and take the next step towards work. We have worked closely with young women to design and deliver the service, to ensure it meets their needs. Previous Gig economy: "Paid at 67p per parcel"
Next Have you ever taken out a payday loan?